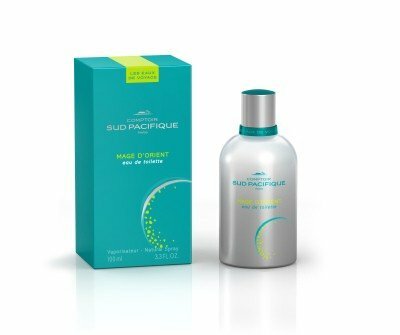 Mage d'Orient is a perfume by Comptoir Sud Pacifique for men and was released in 2007. The scent is fruity-fresh. The production was apparently discontinued. 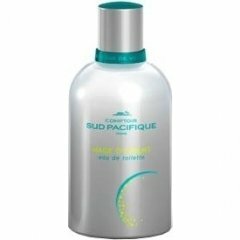 Comptoir Sud Pacifique MAGE D'ORIENT is listed as unisex, but to me it seems more masculine than feminine. The funny thing is, I cannot figure out exactly why! The composition is truly bizarre, combining woody oriental with gourmand and fresh aromatic notes. Sounds like a mess, I know, but it smells likable. I agree with a reviewer on the German side, that this composition has a chameleonic quality to it--and small wonder, given all of the many different notes! I cannot claim to be able to identify most of the notes, but I do perceive many qualities in waves: freshness, creaminess, woodiness, sweetness, herbality. I believe that there is also some sinus-clearing iso-E-super, aka "radiance" implicated. During some wears, I've found the coconut milk note to be more marked, but today, MAGE D'ORIENT is wearing more like a high-end (well-made) designer aromatic woody cologne. I do believe that this would be a great choice for a vacation: it's upbeat and fresh without smelling like soap or cleaners or shampoo. I dislike the aluminum bottles of this line, but they do clearly seem like a good idea for traveling, since the glass bottles may break. Write the first Review for Mage d'Orient!